Our school council is made up of pupils from Year 1 to 6. Children from each class are democratically chosen at the start of each school year by their classmates to represent the views of their class at council meetings. It is a great compliment to those pupils that are chosen, as it shows that their peers have placed their trust in them. 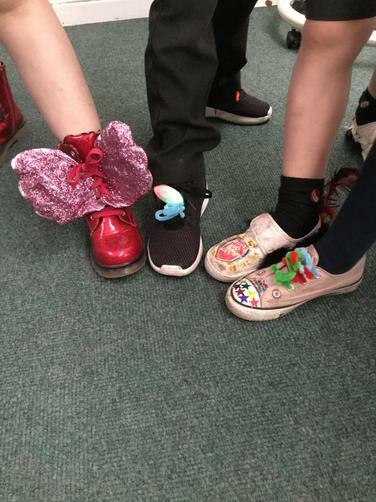 During the year, the Council take part in a variety of activities which help to provide information about the well-being of our pupils and how to make our school a better place for everyone. Well done to all of them for being voted on by their classmates! 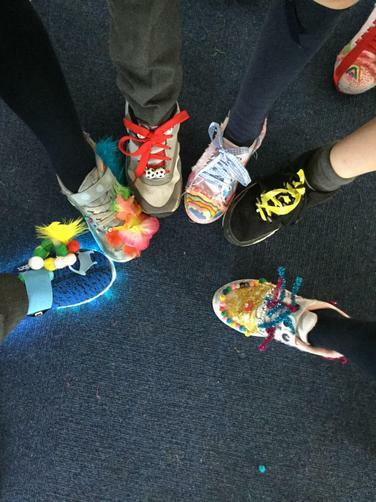 To try and encourage everyone to be more active and walk to school, as a School Council we decided to have a funky footwear day. 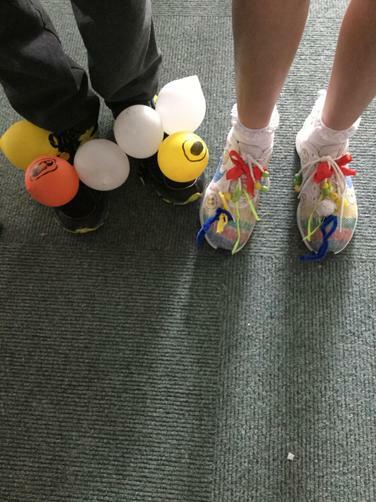 People were tasked with making the funkiest footwear that they could, walk to school and donate £1 to add to our fund. 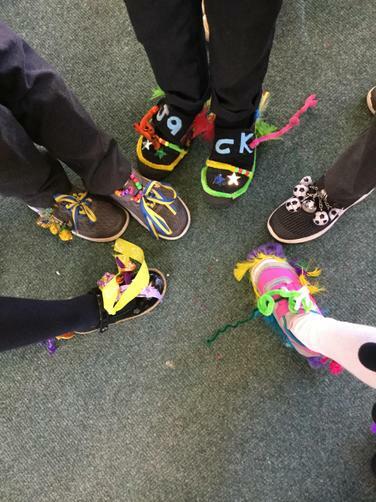 There were some fantastic creations across the school with feathers, flashing lights, pipe cleaners, stickers, glitter and bows evident everywhere. 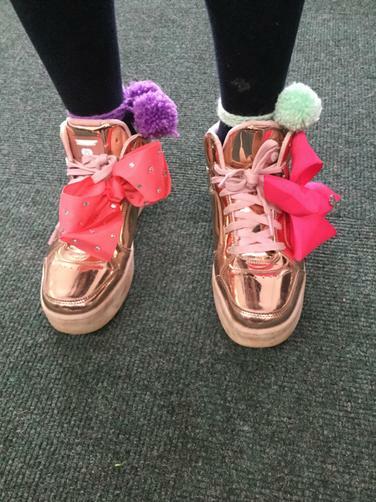 School Councillors were tasked with selecting the funkiest footwear in their class and the winners are listed below. Each winner received a certificate and 5 house points for their team. Well done, and thank you for your support from home.